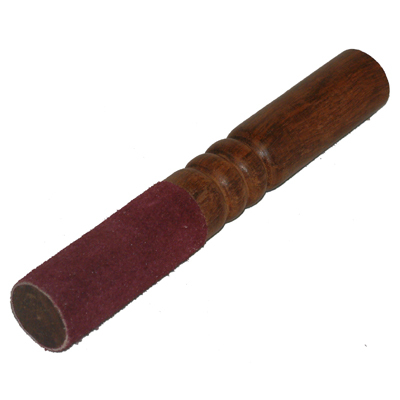 A double ended singing bowl wand, with a choice of wood or suede, to help you get the most out of your singing bowl. Colour & design may vary. Length: 19 cm, Diameter: 3 cm.